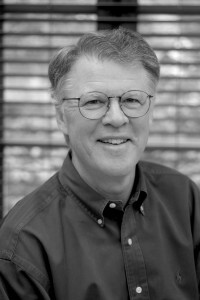 Peter B. Dervan is currently a Professor at The California Institute of Technology and is credited as a founder of chemical biology. Photo courtesy of Peter B. Dervan. Professor Peter Dervan believes that his relationship with Yale has come full circle: after earning his Ph.D. from Yale in 1972, he lived and worked on the West Coast for several years before returning to Yale as a scientist on the board of the Yale Corporation. One of the founders of chemical biology, Dervan is the recipient of countless noteworthy awards and honors, including the prestigious National Medal of Science in 2006 for his contributions to organic chemistry. While Dervan acknowledges the value of scholarship, work ethic, and integrity, he attributes many of his numerous accomplishments to risk-taking and circumstance. A native of Boston, MA, Dervan was a bright student with a knack for science. As a chemistry major at Boston College, he had the opportunity to engage in undergraduate research but was still undecided about his future plans. Looking to explore more of the United States, he decided to leave New England after graduation and enroll as a graduate student at the University of Wisconsin–Madison. At the University of Wisconsin, Dervan was part of Jerome Berson’s research group, which focused on mechanistic organic chemistry – the science of how chemical bonds are made and broken. However, shortly after Dervan’s arrival in Wisconsin, Berson accepted a position at Yale and moved to New Haven with his entire research group. Thus, by chance, Dervan relocated to Yale, where he conducted the majority of his Ph.D. research. Although he still remembers long walks up Science Hill during the cold New Haven winter, Dervan also remembers Yale as the place where he found his “passion in life.” With the guidance and support of Berson, Dervan discovered the excitement and delight in research and soon realized that he wanted to commit his professional life to it. This commitment, however, was contingent on this newfound passion for science and discovery. According to Dervan, passion, along with risk-taking and hard work, is essential to success. Without passion, it would be impossible for Dervan, or any other research scientist, to continue working in a field characterized by delayed gratification and uncertain outcomes. President George W. Bush awards Professor Peter B. Dervan the National Medal of Science in July 2007. Photo courtesy of Peter B. Dervan. With a bolstered sense of motivation and a Yale Ph.D., Dervan accepted a postdoctoral position in California, eager to see the West Coast after such positive experiences in the Midwest and East Coast. In an attempt to broaden his expertise beyond mechanistic organic chemistry, Dervan joined a synthetic chemistry group at Stanford University. Just six months after his move to Stanford, another Californian institution recognized Dervan’s talents. He was offered a full-time job at the California Institute of Technology in Pasadena. In hindsight, Dervan describes his decision to take this position (having completed less than a year of postdoctoral research) as a bit crazy, yet instrumental in guiding his future research. So, Dervan embarked on the discovery of a new path to study weak intermolecular interactions underpinning complex biological systems, even amid warning from peers that he was taking his career off a cliff by going to “softer, less defined science.” More specifically, Dervan began researching and creating novel molecules with affinities to very specific sequences of DNA. Following the success of his initial experiments (which hold promising potential for the advancement of human medicine), he began publishing papers in the late seventies and is now credited with pioneering a new field of DNA recognition in chemical biology. Thirty-eight years after accepting the position at Caltech, Dervan has published 325 papers, taught hundreds of students (about 50 of whom are now professors themselves at various institutions around the country), and has seen two of his own co-workers, Scott Strobel and Alanna Schepartz, join the Yale University faculty. He is also one of four family members with a degree from Yale University: his son Andrew graduated from Yale College in 2004, his daughter Elizabeth is currently a senior at Yale (SM ’12), and his wife, Professor Jacqueline Barton (Caltech), received an honorary degree from Yale in 2005. The proud patriarch of such an impressive family, Dervan is now constantly thinking of how to give back to Yale and the larger scientific community. On his quest for a meaningful way to use his knowledge and good fortune for the greater good, Dervan received a phone call that would bring his academic life to a full circle. Richard Levin, President of Yale University, called to offer Dervan a position on the Yale University Council, a group of 30 Yale Alumni with diverse backgrounds who advise President Levin on a variety of issues surrounding all the institutions affiliated with Yale University. Always a confident decision-maker, Dervan accepted President Levin’s offer and served on the University Council until he was asked to run for a position on the board of the Yale Corporation, the prestigious governing board and policy-making body for the University. A pioneer yet again, Dervan accepted a position as an Alumni Fellow of the Yale Corporation. Now halfway through his six-year term on the board, Dervan reflects on the great opportunity he has to give back to the very institution where he discovered his passion. As a scientist on the board, he hopes to support advancement of science and engineering at Yale and to foster passion in the sciences among today’s students. Each member of the Dervan Family — Jackie, Peter, Andrew, and Elizabeth — will have a Yale degree by the end of this year. Photo courtesy of Peter B. Dervan. Although Dervan’s natural abilities, work ethic, and friendly personality were key in leading him to academic and professional success, he often emphasizes the fact that one cannot be successful alone. He remarks that aspiring researchers and scientists should not underestimate the importance of a good mentor. In a 2001 publication to Bioorganic & Medicinal Chemistry, Dervan remarks, “One has the benefit of looking back and understanding in hindsight which were pivotal decision points critical for the path forward.” Without Berson, Dervan would have never found a passion for research. Without Roberts, he might have never achieved so much professional success. And without Beckman, Yale would not have an advocate for scientific advancement on the board of the corporation. Evidently, hindsight is a powerful tool and can offer an aspiring scientist many lessons. Dervan, a man of incredible scientific success, explains that, in science, you can go back and do a control after performing the experiment. But this is not true in life: it is impossible to know what might or could have happened, so risk-taking is essential. When the door of opportunities opens, just step right through.